In the age of digital disruption, how do you prepare yourself for job security? 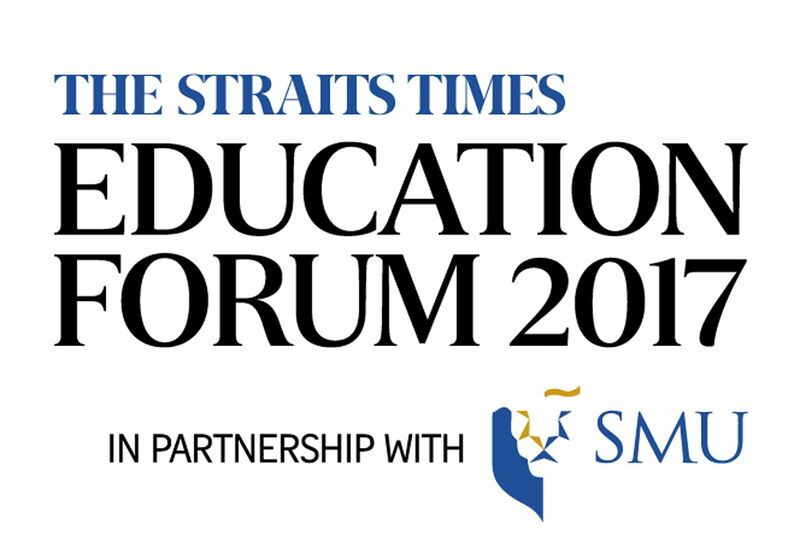 Find out as panellists answer these questions and more at The Straits Times Education Forum 2017 in partnership with Singapore Management University. The rise of technology and automation has created fears about job losses in the future economy. But technology can also create new opportunities, and even traditional degrees like those in literature and languages can still retain their relevance. Singapore Management University (SMU) president Arnoud De Meyer made this point in an animated exchange yesterday at The Straits Times Education Forum 2017, which focused on the future of work, universities and the economy. Around 500 people attended the forum, which was organised by ST in partnership with SMU. The forum held at SMU is in its fourth year. Citing an example of how people who have studied languages and writing might be needed by video game companies to craft storylines, Professor De Meyer said "there are (many) interesting jobs that are being created" because of technology. He advised young people against worrying excessively about which jobs would be rendered obsolete, urging them to "follow your passion in what you want to study". He also agreed with SMU's board of trustees chairman Ho Kwon Ping on the need for universities to transform. In his keynote speech, Mr Ho had said that universities like SMU should not "feign helplessness in the face of disruptive change". At a panel discussion, which included Mr Ho, Ms Nandini Jayaram from Google Asia-Pacific and ST senior education correspondent Sandra Davie, ST managing editor Fiona Chan asked how universities can distinguish themselves given that their brands would increasingly become less relevant as more begin to prize an individual's skills over credentials. Prof De Meyer said universities would have to transform how they are structured, paying more attention to inter-disciplinary programmes and creating an environment where students can "learn how to learn". Ms Davie brought up the Stanford 2025 project, which has been exploring ideas around how the university's undergraduate experience could be re-imagined. One idea is for students to declare not a major but their mission or purpose. The university then comes up with courses and programmes to help them achieve these missions. "I think it's a powerful way to look at university education. It's about preparing you for work and life," said Ms Davie. Asked if choosing inter-disciplinary programmes would improve one's prospects of securing a job, Ms Jayaram said such a hypothesis that starts off with the intention of securing a job is misplaced. Instead, she said, jobs of the future will depend on the problems that society needs to solve - ride-hailing app Grab, for example, started with the intent of addressing inefficiencies in transport. It may be more vital to develop critical problem-solving skills. Ms Jayaram said: "The types of jobs (that will be) available 20 years from now are going to be unpredictable to some degree. If you don't think about the skills you need, or the interests you have... and work backwards, in some ways you are limiting yourself." ST news editor Marc Lim said he hopes the forum helped participants answer the question of whether they have the required skills to face the demands of today's world, among other issues. He said: "We at ST believe that education is a major concern of Singapore parents and a topic of great interest to ST readers." Technological disruption was a buzzword that Dunman High School student Soo Sze Jie, 17, learnt in General Paper classes. But at the ST Education Forum yesterday, she was given a deeper insight on how it impacts different sectors. Jobs not heavilyreliant on skills such as social perceptiveness and originality, like accountancy, have a higher chance of becoming automated. But those demanding people skills, like teaching, are not as threatened. "It was helpful to see that being broken down into the specific categories," she said Sze Jie, a JC1 student. Youth leader David Hoe, 29, said he found the speakers' backgrounds interesting. ST senior education correspondent Sandra Davie was previously a teacher, while SMU board of trustees chairman Ho Kwon Ping was a journalist before founding hospitality group Banyan Tree Holdings. "Their backgrounds show how we don't have to pigeonhole jobs for the future."